Bryan and his Westlife chums have developed a bit of a party animal reputation since they took the boy band throne 3 years ago. Their cleancut image has taken a battering, with tales of them getting into trouble for smoking, and despite being warned about the health risks they still cant seem to quit! Back in 1999, the bands manager Louis Walsh gave them a ticking off when he caught them smoking backstage at an Irish TV Show. Reducing them to tears, he threatened to throw some members out the group and slapped a smoking ban on the boys. It didnt last long however. Soon after, Bryan and Mark were caught puffing away at Shanes 21st Birthday party in a trendy Irish club Lillies Bordello. Making no secret of their blatant disregard for their managers warnings, the pair smoked all night as they danced with a large group of girls. 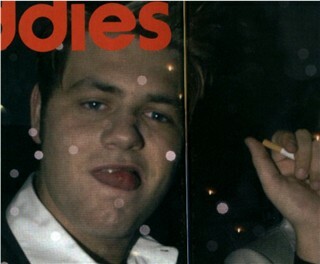 A friend of the band told a newspaper last year: "Its a well known fact that Bryan and a few of the other Westlife lads smoke but never in front of young fans." There were reports that Bryan was trying to give up the cigarettes before the birth of Molly last year. Sensible wife Kerry gave up smoking as soon as she discovered she was pregnant, and Bryan wanted to follow as a good example. Unfortunately, he hasnt managed to kick the habit and was snapped smoking at last months Brits and while on holiday with Kerry and Molly. Come on Bryan - we know you can do it!